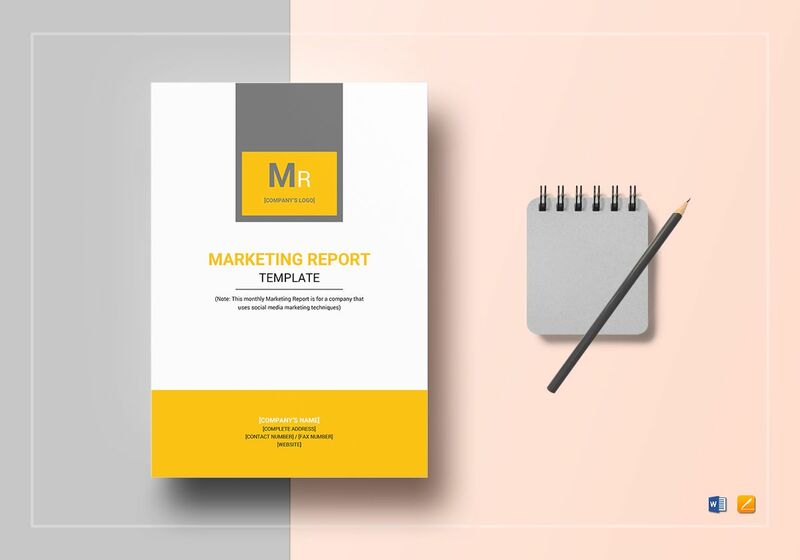 Gone is the stress of the Monthly Marketing Report thanks to our template that makes work that much easier. 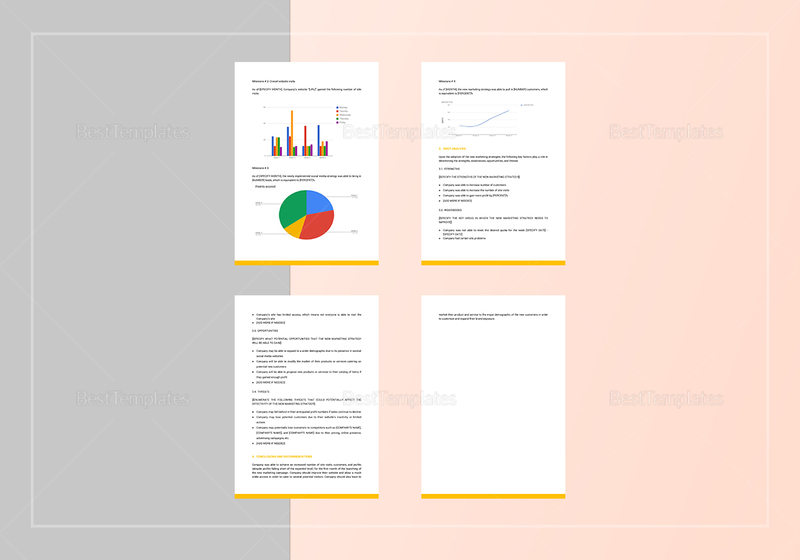 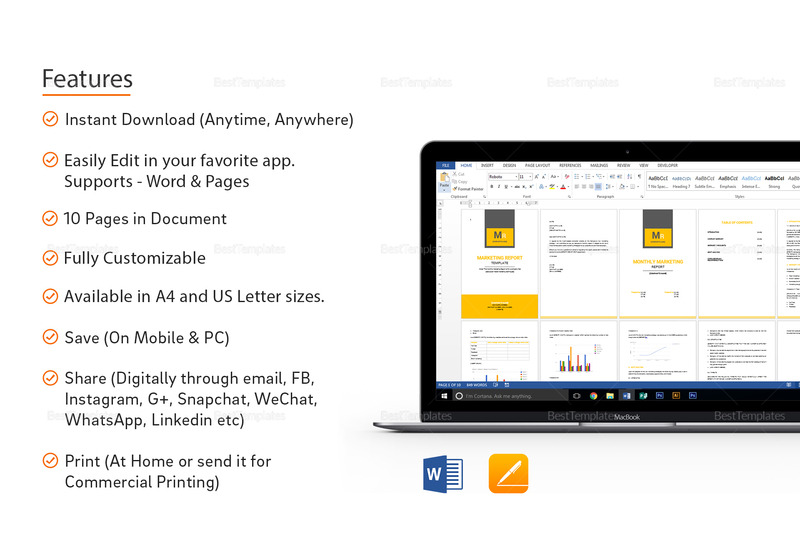 The white and yellow design is fully customizable and available in different file formats, so it is easy to share digitally, or print for presentations. 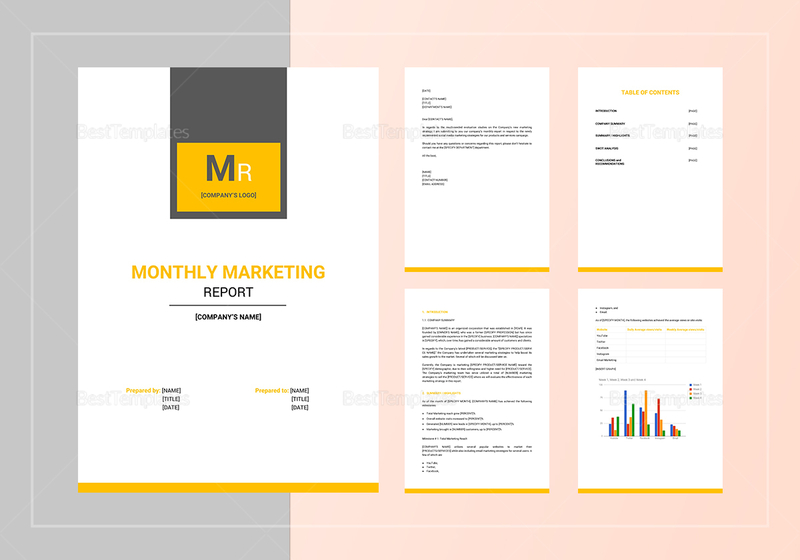 Instantly downloadable, use this editable file to impress your boss when you report on your company’s monthly marketing status.